I used to be a total sucker for pure white flowers. Any bloom that is devoid of blush, solids, stripes or splashes was extraordinary to me, like it missed a turn in nature’s production line and came out of the wrong end. Which, sort of explains my fondness for this Dendrobium dearei. Most Dendrobium deareis carry a hint of of lime or yellow down the throat. But there is none of that in this variant which makes it very special IM(very)HO. It’s a keeper for sure. 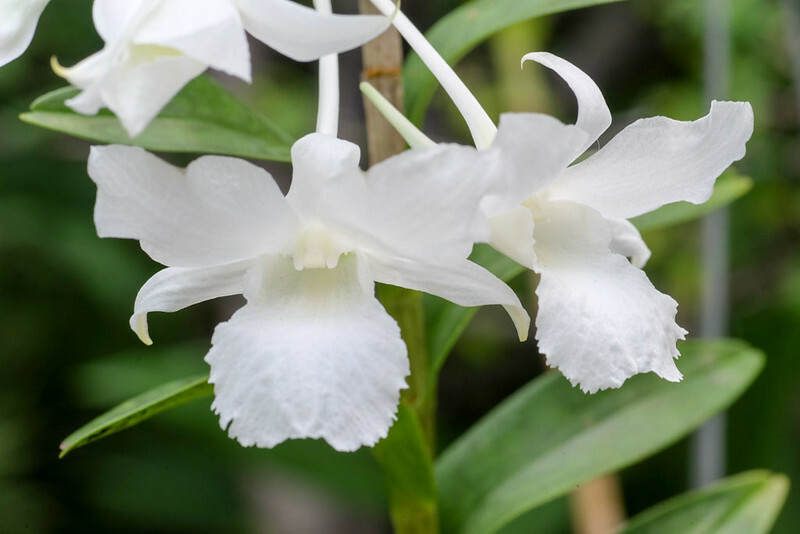 This Dendrobium dearei is pure and clean. 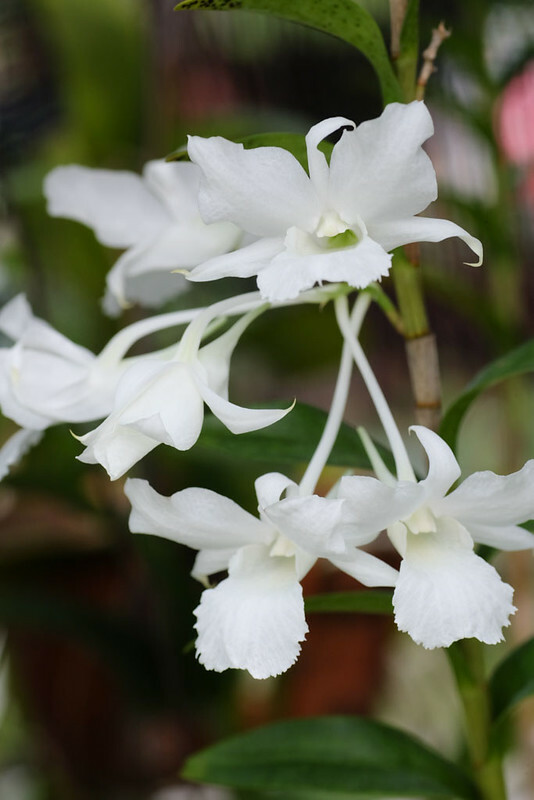 Dendrobium dearei likes hot, tropical conditions with high humidity and frequent watering. The pencil-thin canes can grow to be quite tall and the flowers are long-lasting. I have read that they are fragrant but I couldn’t detect any on this one. Not such a big bunch, but I like them anyhow. The Sabah (Borneo Malaysia) form of Dendrobium dearei. Make this my next hunt (picture by Zainal Abidin from this forum post).